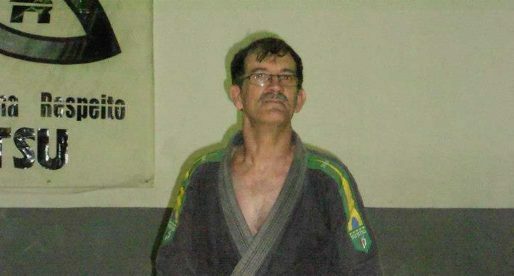 Helio Moreira, commonly known as “Soneca”, is regarded by many as a Brazilian Jiu Jitsu legend. A black belt under Carlos Gracie Junior, Helio “Soneca” became one of BJJ’s top competitors in the late 1990’s decade, having also followed a short term career in mixed martial arts (MMA). Moreira was one of the first black belts produced by the Gracie Barra academy, having later become a well respected instructor in jiu jitsu and MMA. Nickname: “Soneca” means “Sleepy” in Portuguese. As a youngster Helio Moreira played Roller Hoquei (Quad) as a keeper at the “Casa de Portugal” club in Teresópolis, Brazil. He played alongside another BJJ legend, Jean Jacques Machado. One day while defending a ball, he was hit in the head, the impact of the ball made a dent in the helmet and knocked Helio Moreira out. Because Helio passed out his team mates started calling him “Soneca” (Sleepy). Helio Moreira was born in Teresopolis, State of Rio de Janeiro – Brazil on the 27th of October 1969. He started training Jiu Jitsu when he was 8 years old with Cirilo Azevedo at the Academia Serrana in his hometown. He stayed with master Azevedo going through the ranks until reaching his blue belt. He moved academies when he was still a blue belt to be trained by Jean Jacques Machado in the early stages of an academy that became legendary – Gracie Barra. From that dojo and that generation came some of the best fighters the world had ever seen, guys that are now true legends of the sport, like: Renzo Gracie, Vinicius Magalhaes, José Leão Teixeira and many others. He stayed on the same gym until he graduated has a black belt, though the coach changed in the later years, with the Machado’s going to the United States to live, Carlos Gracie Junior took charge of the club and it was the Gracie that awarded “Soneca” his black belt. Helio Moreira has often been labelled as a “bon vivant” and an enjoyer of the night life amongst the BJJ community, but there is a good explanation for that. Growing up, “Soneca” always had trouble sleeping. That was mainly due to the fact that from the age of 3 Helio’s father (who was responsible for his upbringing) worked during the night time. Helio would go to bed usually after 5am, and this unusual sleeping pattern stayed with Moreira even as he developed into a full grown adult. This of course caused Helio to live during the night time and because there was not much else to do during the night he would go out to clubs, and parties. But this is not the life of an athlete, he told BJJ Heroes when interviewed for this article. He does not condone this sort of behaviour. 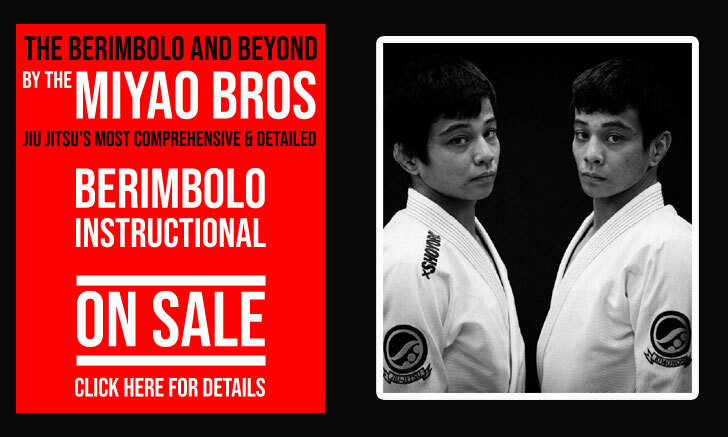 After Helio Soneca received his black belt in BJJ, he received an offer from a good friend of his, Mr Ralph Gracie, to come to San Francisco, California and there he started his teaching career in US soil. Through the years “Soneca” has taught many champions in both MMA and Grappling. His high standards have led him to graduate less black belts then expected for someone with his lengthy career, but no one can deny the quality of the ones he has actually awarded, black belts like Gustavo Muggiati, Michel Safi, Alexandre “Café” Dantas, Jair “Sorriso”, Robson Santos, Marcelo Pupo and many others. or call (502) 489-5444 to set up a free 1 on 1 intro class with the world champion! Maestre Soneca is a great guy and an easy to learn from teaching style. Got to spend good times with him and the boys from port city mma, and professor Jimmy Mills. You couldn’t pick a better person to learn Jiu jitsu from, and to befriend. Thanks Soneca for the awesome seminars!! Sonequinha!!! Excelente mestre de jiu jisu, dos melhores, meu grande amigo, muitas saudades! !Deus esteja sempre contigo, familia Rogoschin!! GRANDE MESTRE HELIO SONEQUINHA !!! GRANDE MESTRE , EDUCADOR E VERDADEIRO AMIGO … !!! LEALDADE , HONRA E RESPEITO ETERNO AO SR. MESTRE SONEQUINHA !!! SAUDADES MEU GRANDE IRMAO !!! ( em todos os momentos ) !!!! DEUS TE ABENÇOE !!! MESTRAO !!!! ABS !!! CLEO FREIRE. Hélio Soneca , mais que um lutador é um irmão . Uma lenda do Jiu jitsu , inventor de várias posições que são usadas no JJ e no MMA . O maior professor do mundo ! I am honored and proud to one of the lucky few to have received their black belt from Soneca! Soneca is my favorite bjj player of all time and my professor! One of my proudest moments was receiving my black belt from him! I had the good fortune and privilege of training under Soneca when he had started teaching classes out of the Butterini Karate dojo in Knoxville, TN. Albeit not nearly as long as I would have liked, as I relocated to Cincinnati several months after starting. My fiance at the time had been training under one of Soneca’s brown belts (later black belt), Casey Oxendine, in Kingsport. I’d been looking to add grappling to my existing repertoire for some time, and thus leapt at the chance when I heard he would be teaching a few miles from my front door, having familiarized myself with his record and reputation in BJJ. I hadn’t expected in the least that a guy of his stature would be personally leading the Spastic White Belt Newbie Class for just about each and every session, so I was pretty blown away at first to find him leading each session. I had a little trouble at first, trying to cut through his rather pronounced Brazilian/Portuguese accent, but getting attuned to it was a negligible obstacle to surmount in exchange for the rewards. Great teacher, 110% dedicated to imparting his vast knowledge of BJJ, with an infectious enthusiasm for it that makes you want to keep going and keep pushing through even when you’re sucking wind and tired to where you feel like you have nothing left to give. All “business” on the mat, and all “Brazilian” off of it. Very unassuming and approachable, and funny as hell. If you wanna learn “tha Jitz” and have a chance to learn from him– even if it’s just a seminar class– you’d be a fool to pass it up. Absolutely the best instructor a person can learn from. He loves his students & teaches that way. If you ever get the opportunity to train under him, or do a seminar please do.